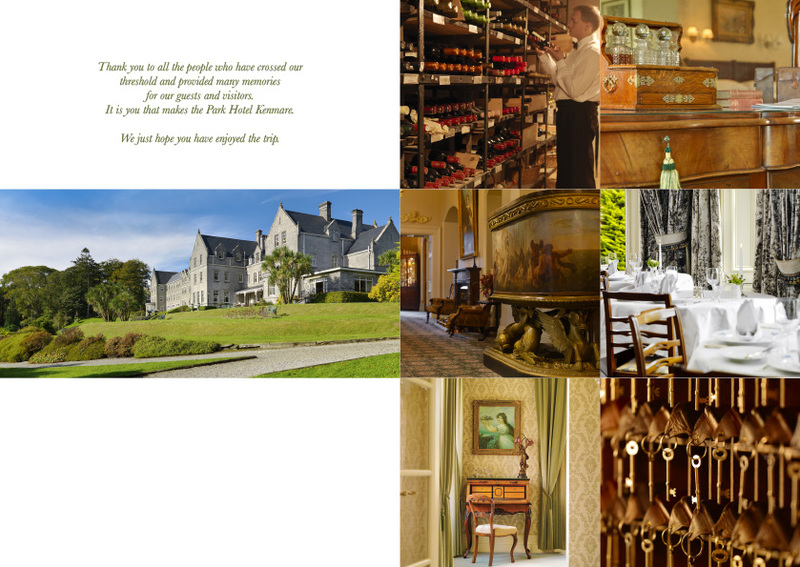 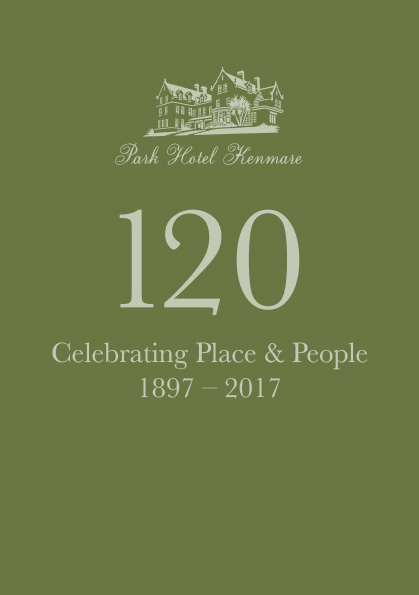 The Park Hotel Kenmare is a vibrant 5 star hotel nestled peacefully in an idyllic setting overlooking Kenmare Bay providing a rare destination where their guests can totally unwind and enjoy the comforts and service of a world-class retreat. 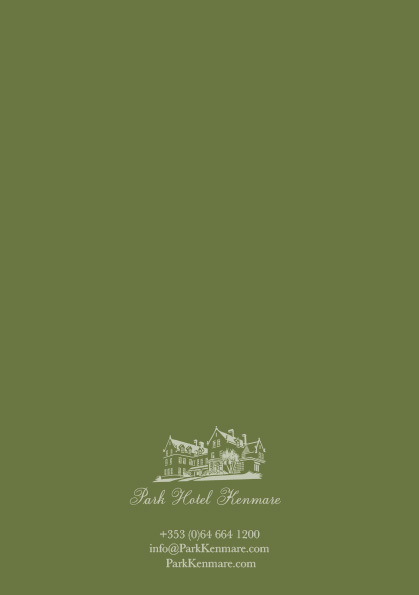 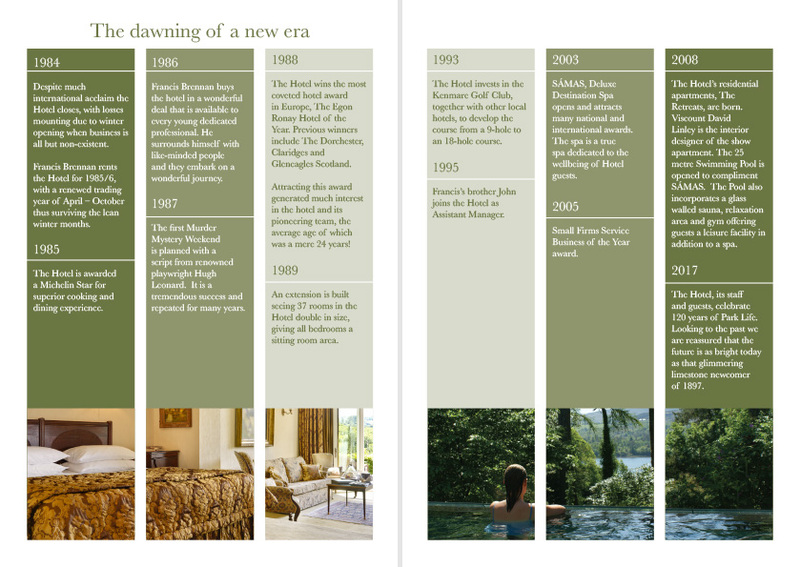 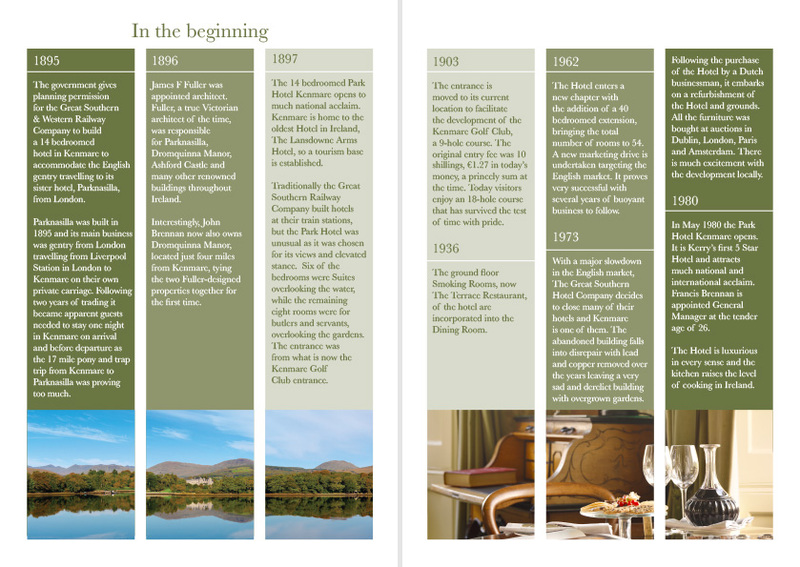 We have worked with the Park Hotel Kenmare on a range of projects from menus and in house design to brochures and promotional material. 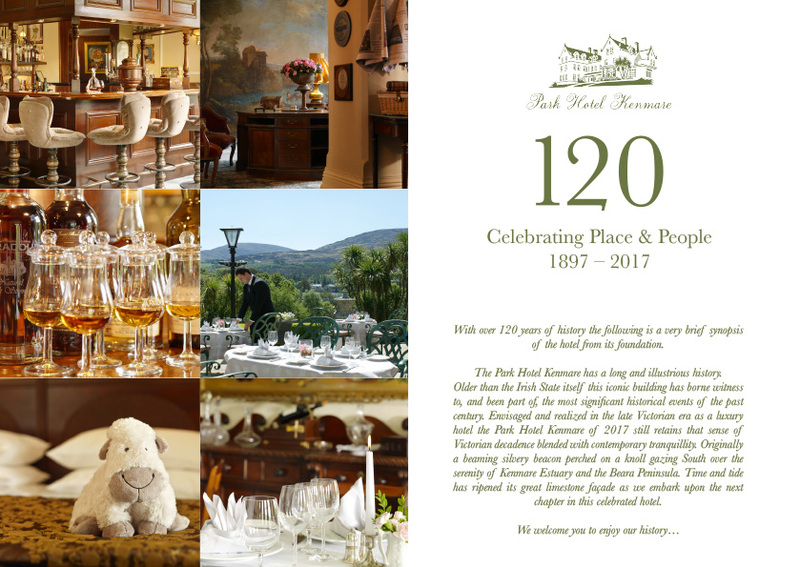 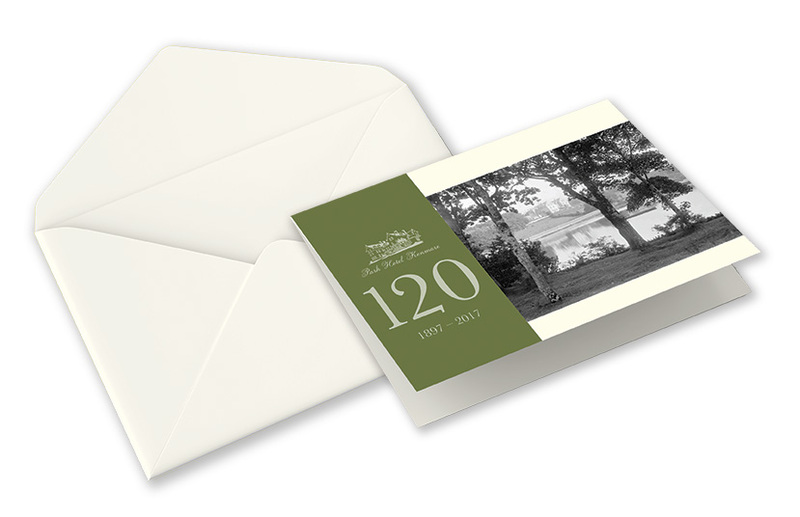 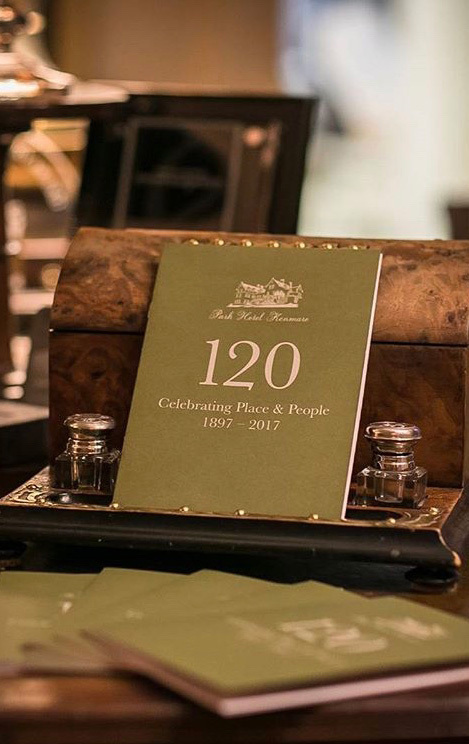 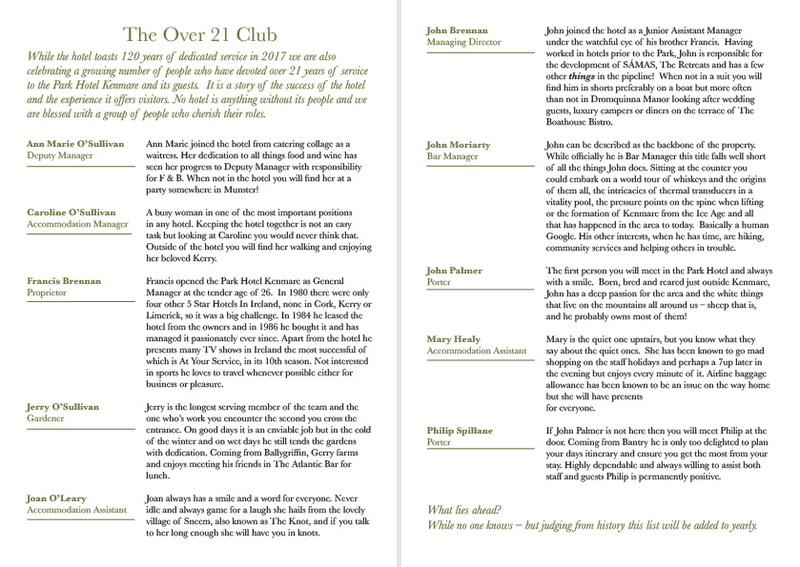 The Hotel recently celebrated its 120th anniversary and we were involved in the design of commemorative brochures and cards for their guests to take away as a keepsake of their stay during the historic year.